There is a Division I school in Miami by the name of Florida International University. 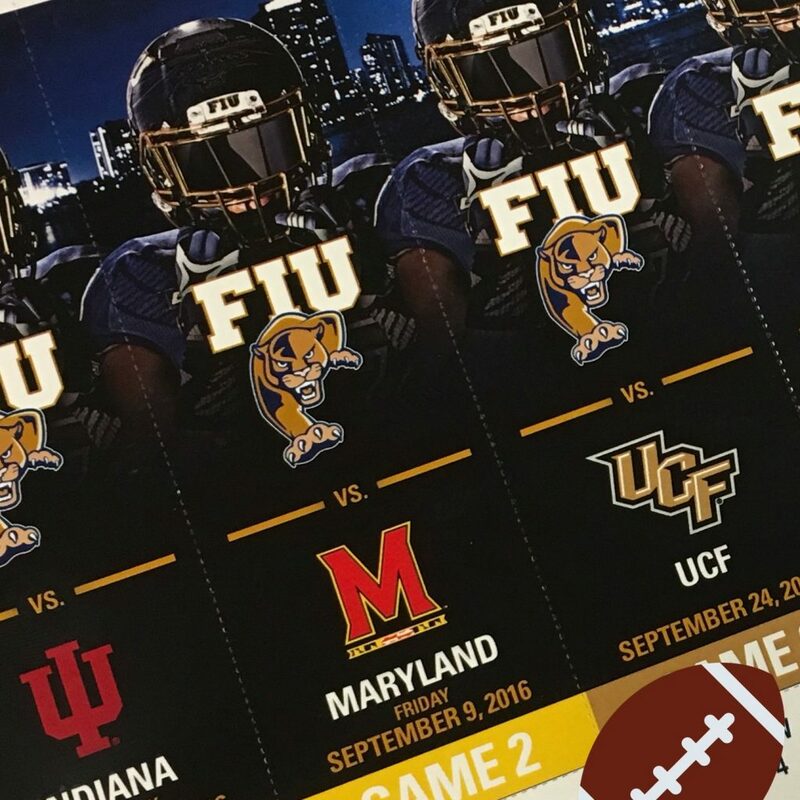 FIU for short has a football team named the Panthers and they have come a long way. FIU began playing football in 2002 as a I-AA (FCS) independent and in their fourth season made the move up to I-A (FBS) joining the Sun Belt Conference in 2005. Last decade they experienced growing pains going 24-68 with zero winning seasons. They opened this decade resilient. In 2010 despite having just 11 returning starters and opening 0-4, the Panthers went 7-2 down the stretch with a game-winning field goal to knock off Toledo in the Little Caesars Pizza Bowl played in Detroit, Michigan. They won the game 34–32 in a fourth quarter play that became known as the “Motor City Miracle.” Moreover, it was the Panthers first winning season. There was not much to celebrate from there only consistent disappointment. In Head coach Ron Turner who took over in 2013 after the shocking fire of Mario Cristobal, came in with NFL and college coaching experience. The Panthers made the transition from the Sun Belt to Conference USA that same year. Injuries piled on and the Panthers went 1-11 on the season, the win a one-point advantage over winless Southern Mississippi, hello C-USA. Last season, the Panthers finished 5-7. It was somewhat of a head scratcher of the 2015 season. They began on the right paw per se with an upset win over UCF. Against UMass they were outgained 390-66 in the first half and lost by 10. The injury bug went around having to play 12 consecutive weeks without a bye, which led to dismantling losses to Marshall 52-0 and Western Kentucky 63-7. That was then. This is now. I am extremely grateful WWW will be covering the Panthers this coming 2016 season. Lets preview it. Let me introduce you to the captain of the ship. Quarterback Alex McGough enters his third year as the starter and leads an offense that has nine starters returning. McGough’s numbers from last season are eye-popping throwing for 2,722 yards and 21 touchdowns with only eight interceptions. Running back Alex Gardner totaled over 1200 yards from scrimmage (760 rushing, 442 receiving) along with 10 touchdowns. Tight end Jonnu Smith and wide receiver Thomas Owens complement this experienced offense. But can this offense generate big plays when needed? It will be a difference maker. Defensively, the defensive line is where FIU will have to generate some mojo. Three of the four starting defensive linemen are gone. Imarjaye Albury, is the only returnee on the line. The Panthers need to find the young talent who can step up at the defensive end spots. In the secondary, cornerbacks Richard Leonard and Jeremiah McKinnon moved off campus and safeties Niko Gonzalez and Tyree Johnson will anchor the defense. Overall, the pressure will be on a defense that has the backing of an experienced offense. Ron Turner has been a head coach for 12 seasons. Only twice has his team had a winning record in league play. The third has to happen this season with consistent play on both sides of the ball. The schedule is set up for the Panthers to succeed. Their offense may sneak up on C-USA foes. Defensively the pass rush will need to learn quickly on the fly.